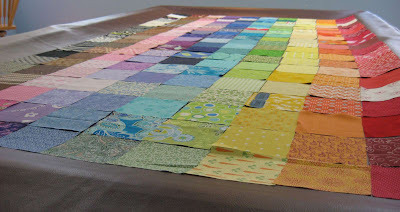 Hooked on Needles: Rainbow Swap Squares ~ So Colorful! 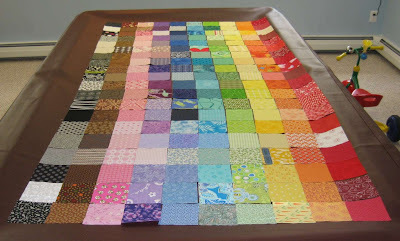 I laid them out on my husband's pool table (shhh, remember he doesn't like it being used for girly stuff like quilt design!) in color rows. Aren't they fabulous? I just love how the tricycle fits right in with all these great colors! ...from all angles. Here you can see more of my mess under the ping pong table, which is my cutting table too, with appropriate mats of course! I decided using all of the squares in one quilt would make it too big to quilt on my domestic machine, so I took half of the squares away. Then I decided I didn't want a square quilt and I didn't want blacks and browns, so I took those two rows away. 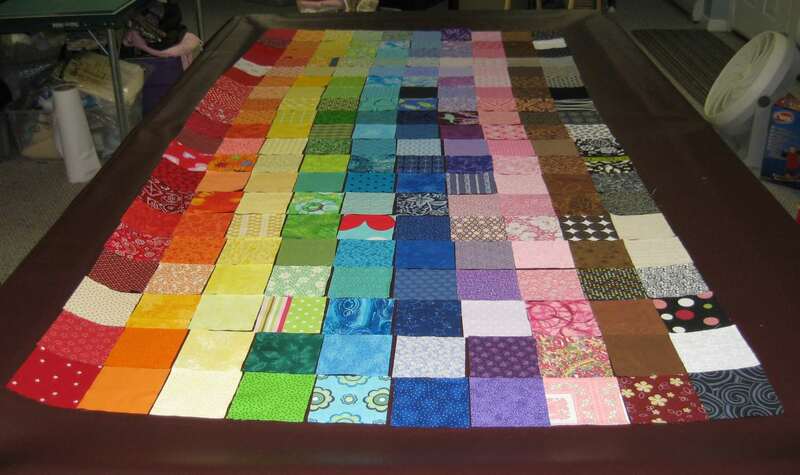 And I rearranged the colors so they are sort of diagonal instead of in rows. And I looked at this arrangement for a while. Then I decided what I wanted to do with all these colorful squares of fabric. Were you in this swap too? If so, thank you for such pretty fabrics! 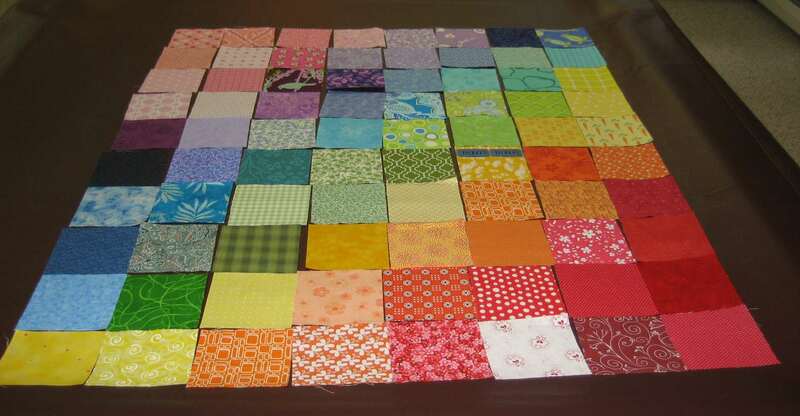 Have you put your squares together yet? 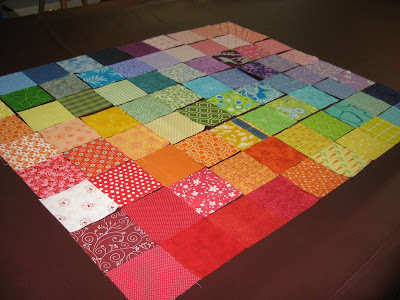 If you've posted about how you are using your rainbow squares, please leave a comment below with a link so everyone can see. Would you like to see what I am doing with these 80 colorful squares? I'll show you next time! I promise! Oh what a fun swap!! Sorry I missed that one!!! Hmmm, what are you going to do?! Something Fishy Came in the Mail Today!